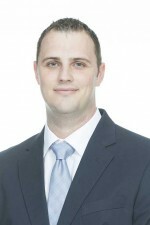 Cory Hoff is the Associate Head Coach of the Graceland University Yellowjackets. Graceland is currently 9-5 and 3-0 in the Heart of America Conference which is a very competitive NAIA Division I league. So far, the Yellowjackets have a key exhibition win over NCAA Division II power Augustana and they hope to finish their conference season strong and qualify for the NAIA National Tournament in Kansas City. I fell in love with the game at a young age. Coaching provided an opportunity to stay involved with a game that I love while providing a chance to develop and influence the growth and development of student-athletes. Who influenced you the most as a coach? The most important individuals in my development as a coach would be Sam Ballard and Royce Youree. Coach Ballard is the head coach at Mesa Community College. He gave me an opportunity to get into coaching and I wouldn’t be here without Coach Ballard taking a chance on me. His willingness to teach has provided the foundation of my coaching philosophy. Royce Youree is a legendary coach in Arizona. He’s a member of the Arizona State University and Arizona High School Hall-of-Fame. Coach Y was Coach Ballard’s high school coach and would provide guidance to the staff at Mesa Community College. His ability to connect and build relationships with student-athletes was remarkable. Biggest obstacle you have faced as a coach? Getting into college coaching. This is a very competitive industry, especially for someone that didn’t play collegiate basketball. I spent my first season as a volunteer coach at Mesa Community College to get my foot in the door. What does NAIA basketball mean to you? I have really enjoyed this past year and a half at the NAIA level. It is another opportunity for student-athletes to compete while attaining an education. There are some really good coaches at this level that I have learned from. It is an option that student-athletes should embrace and research when they are looking at potential options to continue their careers. Best advice you can give to student-athletes? Take nothing for granted. The ball stops bouncing for everyone at some point, so it’s important to take advantage of the opportunities that you receive. Best advice you can give to aspiring basketball coaches? The best advice that I can give to aspiring coaches would be to “be a sponge.” Listen as much as possible when you are first getting started. Keep a notebook with you and take notes on what you observe. I will still refer back to my first notebook that I created six years ago. Seek out mentors and ask for guidance. Go to clinics, work camps, and watch practices of as many teams as you possibly can. The majority of the coaches that I know are more than willing to give back to the game of basketball by helping out young coaches. If I can assist young coaches in anyway, don’t hesitate to reach out to me at [email protected]. If you could spend one day with a person (past or present) who would it be and why? For a coaching standpoint, I would love to spend a day with Bobby Bowden, the former Florida State Football coach. His run of consistent success was remarkable and I would love the opportunity to pick his brain. Outside of sports, I would probably say Simon Sinek, one of the leading experts in Servant Leadership.